Nations Press entertainment feature news Will the Old Pancit Canton be back? Find out! Will the Old Pancit Canton be back? Find out! SPONSORED LINKS Out with the old, in with the new. But is new always better than the old? A few months ago, the popular Lucky Me! Pancit Canton had a "makeover." 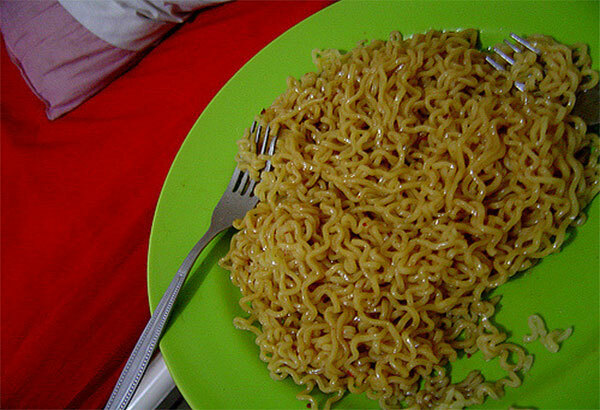 Its noodles became thicker, the seasoning became saucier and from square, its shape right from the package became round. But while the transformation was aimed to give a better experience for consumers, some did not seem to embrace the change. The pancit canton became a trending topic on social media, with the loyalists begging the brand to bring back the old one. "Kasi dati bitin sila sa isa, so ngayon bigger. And the noodles kasi ngayon [are] smoother, so when you slurp it, it's supposed to give you that 'umami," Melissa Pabustan of Monde Nissin explain. "But as with all changes, it takes sometime for people to get used to it," Pabusta added. Pabustan said Monde Nissin's teams are in the phase of analyzing and evaluating what the consumers liked about the old version so they can apply it to the new one.